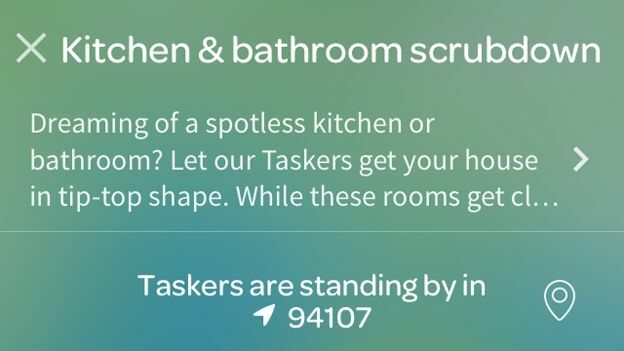 Taskrabbit has released a free app for Android and iOS in the hopes of making it even easier to outsource for tasks. For the unaware, Taskrabbit is a service where users can find people do all kinds of tasks - jobs they don't have the time, patience or skill for. Tasks are organised into categories, such as cleaning, DIY, event help, gardening, etc. Clients who put up tasks give a price they will pay for the job and a vetted and approved 'Tasker' will do the work for them. The app contains a few new features such as 'trending' tasks. Clients and 'Taskers' can also communicate with each other in real time via live chat. The Taskrabbit service has been available in London for 5 months, but until now has been limited to online. Unfortunately, the service is only available to London for the time being. However, with numerous new US cities currently being added to their directory, it looks hopeful for other UK cities.